Το Dormy Inn Nagano, στην περιοχή Περιοχή Ναγκανο σε Ναγκάνο, αποτελεί δημοφιλή επιλογή για τους ταξιδιώτες. Από εδώ, οι επισκέπτες μπορούν να έχουν άμεση πρόσβαση σε όλα όσα η πόλη έχει να προσφέρει. Από τη βολική της τοποθεσία, η ιδιοκτησία προσφέρει εύκολη πρόσβαση σε κορυφαίους προορισμούς της πόλης. Στο Dormy Inn Nagano, η άψογη εξυπηρέτηση και οι ανώτερες εγκαταστάσεις συντελούν ώστε η διαμονή εκεί να σας μείνει αξέχαστη. Το ξενοδοχείο σας προσφέρει μια μεγάλη επιλογή υπηρεσιών, συμπεριλαμβανομένων των δωρεάν WiFi σε όλα τα δωμάτια, 24ωρη φύλαξη, αυτόματο πλυντήριο, ημερήσιος καθαρισμός, 24ωρη ρεσεψιόν. 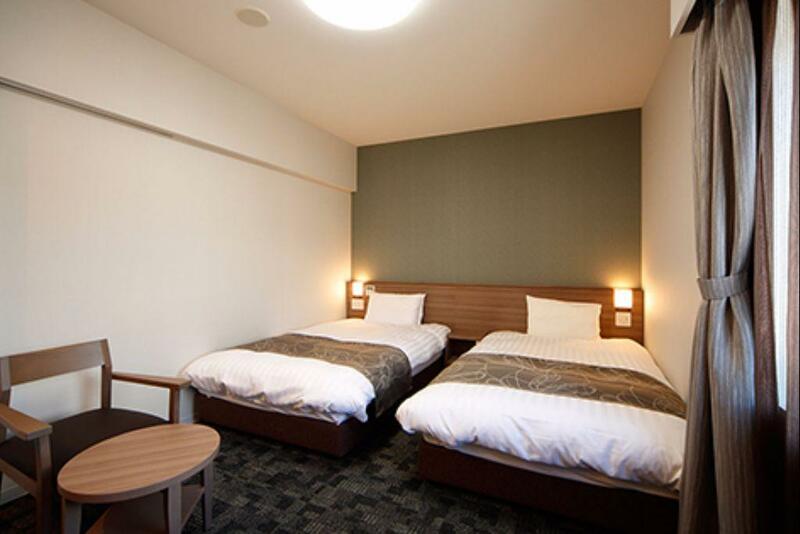 Το Dormy Inn Nagano διαθέτει 153 δωμάτια. Όλα τους είναι διακοσμημένα με γούστο και πολλά από αυτά παρέχουν ανέσεις όπως επίπεδη τηλεόραση, καθαριστής αέρα, μοκέτα, κρεμάστρα ρούχων, δωρεάν τσάι. Εξάλλου, το ξενοδοχείο διοργανώνει πολλά ψυχαγωγικά δρώμενα έτσι ώστε να έχετε πολλά πράγματα να κάνετε κατά τη διαμονή σας. Το Dormy Inn Nagano είναι ένας ιδανικός τόπος για να μείνετε αν ψάχνετε για γοητεία, άνεση και ευκολία στη Ναγκάνο. Η ιδιοκτησία δεν επιτρέπει επισκέπτες που φέρουν τατουάζ. Τα παιδιά ηλικίας 3-12 ετών θα χρεώνονται 1,000 JPY ανά παιδί ανά διανυκτέρευση όταν χρησιμοποιούν τα υπάρχοντα κρεβάτια. Jr walk 2 mins , room are clean and comformable, Window can open. onsen spa on top floor, free noodle 21-23:00 .behind hotel easy shopping and food. Easy to get train or bus one days pass to Snow Mokey park. It was obvious right from the lobby/front desk that this is a newer Dormy Inn (built in 2016). Everything is new and shiny. Complimentary hot beverage machine is available for self-serve anytime in the lobby and in the cafeteria, which is great (try the cocoa). Staff was courteous and professional. The sauna was excellent and clean from what I saw. The one downside is that we were told they don't have on-site parking, and yet, we saw they had their own parking garage AFTER we already paid to park our car elsewhere. 3-4 minutes walk from Nagano train station. Breakfast was delicious, lots of local specialties. Hotel is new and clean. I love their outdoor onsen and free ramen at night. Laundry machine is also free to use. Dormy Inn is always my first choice when traveling in Japan. Highly recommended. We had an excellent stay. Our room was spacious and included all of the amenities needed for a short stay, including some very thoughtful touches like a usb charging cord. We made full use of the fridge and tea making facilities. The staff were helpful and lovely (they do speak English for those who don’t speak Japanese). We enjoyed the onsen each night and loved that there was both an indoor and outdoor one. Amenities were provided and on hand. We liked that there was an incentive to be more eco friendly - a nice touch by the hotel. The hotel is a few minutes walk from the station and is surrounding by restaurants and convenience stores. You are also a nice walk away from the temples. Very close to Nagano JR, room is clean, and public bath and outdoor onsen were amazing. Free noodles and coffee were nice. Would definitely stay here again next time in Nagano. new clear hotel, JR 2 walk 2 mins . room window can open .onsen spa on top floor. free noodle at nigh. around hotel many choise for food or shop. Excellent location just steps away from the JR station; very friendly staff especially the one who received me at reception, he gave me very valuable advice on planning of my travel; lots of good restaurants around! Thank you & for sure I’ll come again! The hotel's location is very near the station. Hotel is very clean and staff members are very nice. I left my wallet in the room and I only realised it while I checked in into another hotel in a different city. And the hotel staff of Grand vert in Karuizawa was really nice to call Dormy Inn for me, and Dormy couriered the wallet to the hotel the next day without charging me at all and I have booked to stay at Dormy again in Osaka. Will definitely stay at Dormy again if I visit Nagano again. Thank you very much for going above and beyond. Sorry didn't get to know the staff name, but I thanked you all. Convenient location amid restaurants and major transportation. Nice new modern hotel. Rooftop outdoor onsen is a plus! 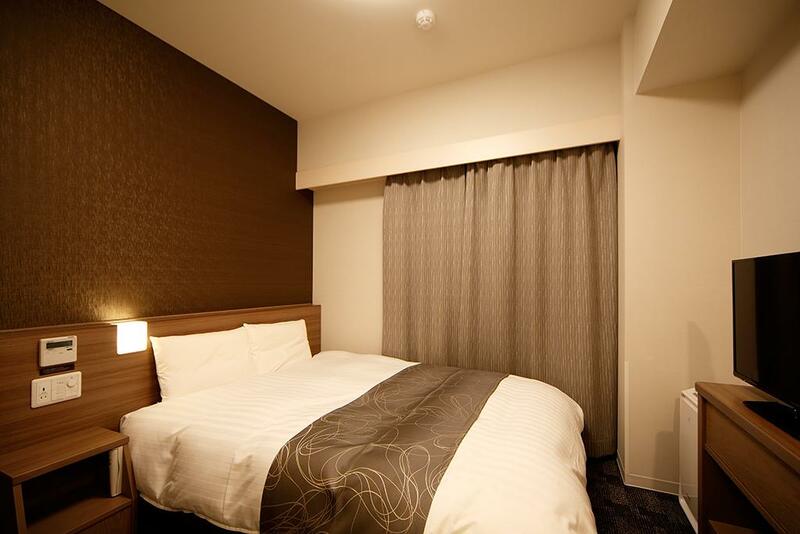 The hotel room is small as common in Japanese cities, but the amenities were wonderful. The onsen (common bath) were amazing with a lovely outdoor bath as well as inside bath and sauna. The only negative was the hall light is motion controlled and goes in anytime someone used the restroom. Stayed in a room with twin beds for only 1 night. Walking distance to Nagano main train station. Follow the Zenkoji temple exit from station, look for Tokyu department store building opposite the right end of the station. Cross over the road and just go straight along the small road where Starbucks is at the junction of the small road. Love the free beverages consisting of coffee, hot chocolate and detox drink at the lobby for guests. Nice indoor and outdoor onsen on the top floor of the hotel. Also has a sauna and a cold bath to dip in after. Conplimentary ramen made by a chef from 9pm to 11:30 pm is much appreciated. Room is compact but functional. Room comes with double doors so it helps reduce noise from the corridor. Only disadvantage is no complimentary bottled water in room. Hotel staff very accommodating and friendly. Hotel has complimentary luggage storage service for early check in and check out. New hotel,modern deco,clean quiet ,spacious room. 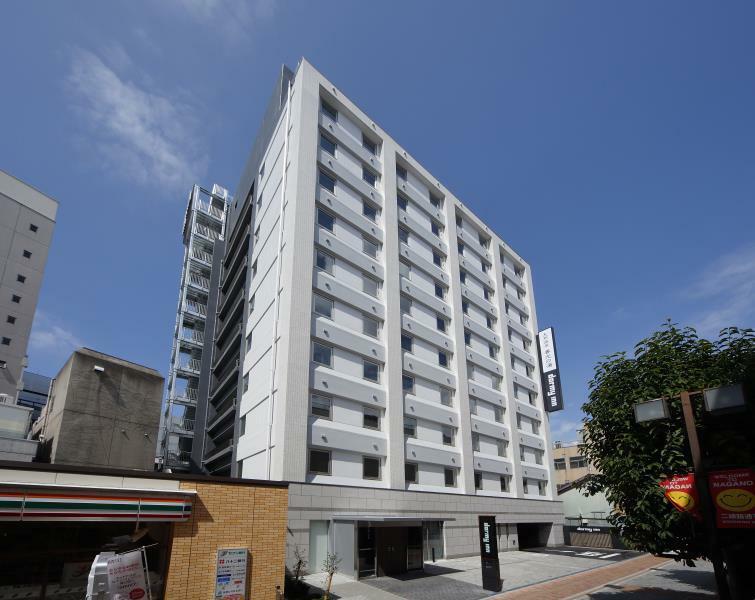 Have hot spring public bath at top floor, with 2 massage chair,self service washing machine. Lobby have coffee,tea & juice,even provide midnight snack,ramen from 9:30 to 11 pm,these are all included in your room rate. walking distance to train station. Outside hotel,food street,Starbucks at the corner,24h convenient store next to the hotel.shopping everywhere. What more can you ask for. Great location. It is a surprise to have such an onsen in the centre of city. The Layout of room is different from the traditional one (the basin locates out of the bathroom) but user-friendly. Many thanks for the arrangement of non-smoking room of my 1st night. Sadly we only stayed two nights at the Dormy Inn, because it was so relaxing and comfortable. The hot spring facilities on the top floor of the hotel were perfect for starting the day super early and relaxing after a long day exploring Nagano. The location of the hotel is also perfect for day trips because the train station is just around the corner. 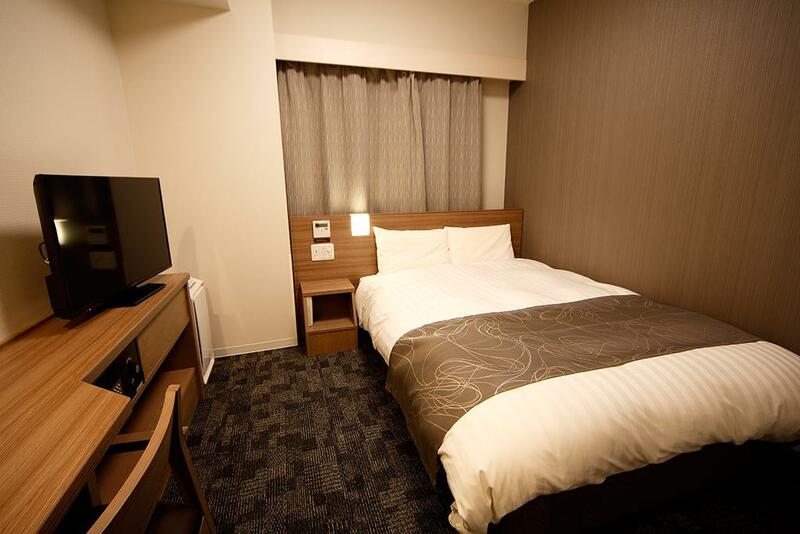 Overall one of the best hotels we stayed in on our trip to Japan regarding comfort and price. I was in-and-out of Nagano for the day to attend a friend's wedding. I arrived on the Shinkansen at 11:05 and the shuttle for the wedding venue was leaving Nagano Station at 11:30. I was able to walk to the hotel, check in, leave my luggage with the front desk because the room was still occupied, and get back to the shuttle by 11:25. So it is a very convenient location close to the station, and the staff were quick and professional about the check in. Also the room was very nice, the air-conditioning worked, and the bed was comfortable. I definitely recommend Dormy Inn. Location OK. Superb onsen. Breakfast not good. No sign for "make up room" or "do not disturb" in the room so my room did not made up. Must tell front desk only. It,'s not work. Love onsen. Hotel and facility is clean . Like the design of the room that you feel spacious even its size is tiny. Σιδηροδρομικός Σταθμός Nagano στα 0.21 χλμ.